Hell is about to break loose in the criminal world. An organisation called ‘Inferno’ is behind the happenings. The great success of Inferno can be attributed to one assassin: the innocent looking Phantom. Our protagonist wakes up in a rundown, filthy room, having no recollection of his past, save for one flashback in which he is running for his life. At this point he does not suspect yet that he is about to fight for his life a second time. Shortly Phantom makes her appearance, forcing him to face her if it is his wish to live. Having been chased through a number of corridors, he has no other choice but to fight Phantom, in which fight his instinctive will to live gives him the edge. Our hero, having defeated -and spared- Phantom, then goes on the find out where he is located, only to discover that it is a desolate desert warehouse. He awakens for a second time, after he is shot with a tranquilising shot by Phantom, only to be faced with the bitter truth: his life has been spared because he demonstrated brilliant talent… at murder. He learns that he will soon share Phantom’s fate, in that he will soon be subjected to brainwashing through drugging and hypnosis. He is given two options: to die or to serve as a pawn, a marionette doll. 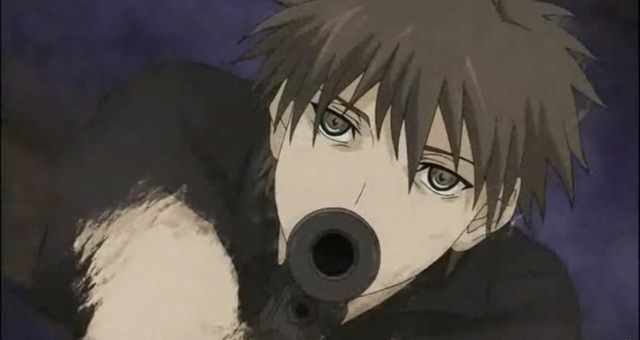 To sum things up, I think it is worth watching Phantom ~Requiem for the Phantom~. It is an interesting show. The existence struggle that is the story, is sufficiently obvious to engage most viewers. The show does not lack violence and murder either. The characters have the typical ‘cool’ criminal aura. Good animation and acceptable music are present too. The characters, even though a bit too obvious at times, are sufficiently complex. Nowhere near as complex as those in Eden: It’s and endless world! for example, but sufficiently complex to enable the plot not to advance too linearly (hopefully). 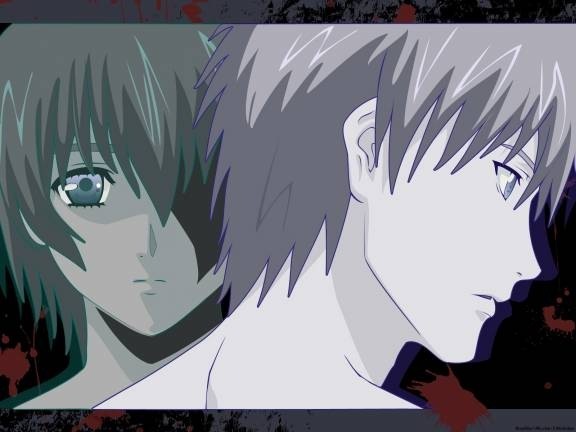 At the end of the day, Phantom ~Requiem for the Phantom~ seems to be a good assassin themed show, but I failed to notice anything astonishing, overall good yeah, but not astonishing. However I would like to refrain from passing judgment too hastily, so this is only a preliminary rating, you never know, the show may deliver an ending as unexpected as that of Saikano. I know, it is unlikely, but hey! 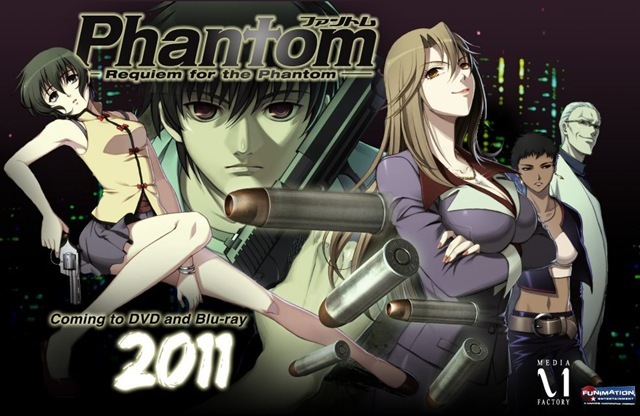 If you have the time, I suggest you add Phantom to your watching list. So far it has offered some very interesting scenes, and the show seems to have great potential too. Go for it!